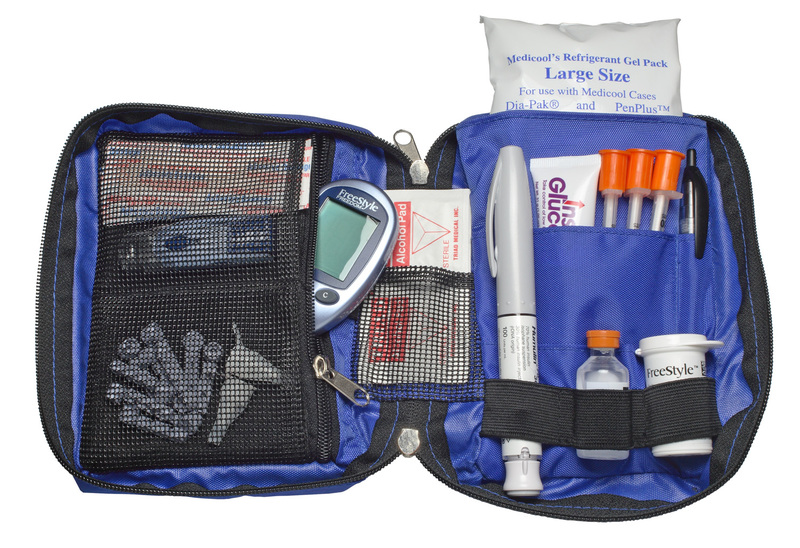 A smaller more compact diabetic travel organizer made of durable nylon and will hold and organize up to one week of all your diabetic supplies. It has many pockets including one for your glucose meter that will protect against condensation. A refreezable Gel Pack is also included allowing your medication to stay cool for up to 8 hours.